Guacamole is one of my all-time favourites. I could eat it with anything. My love is not just for the avocado alone, but for that wonderful combination of avocado, lime and cilantro. These three ingredients together – well, add a pinch of salt to that, too – are all I need for a quick dip for my nacho chips. But things can get much better from there. 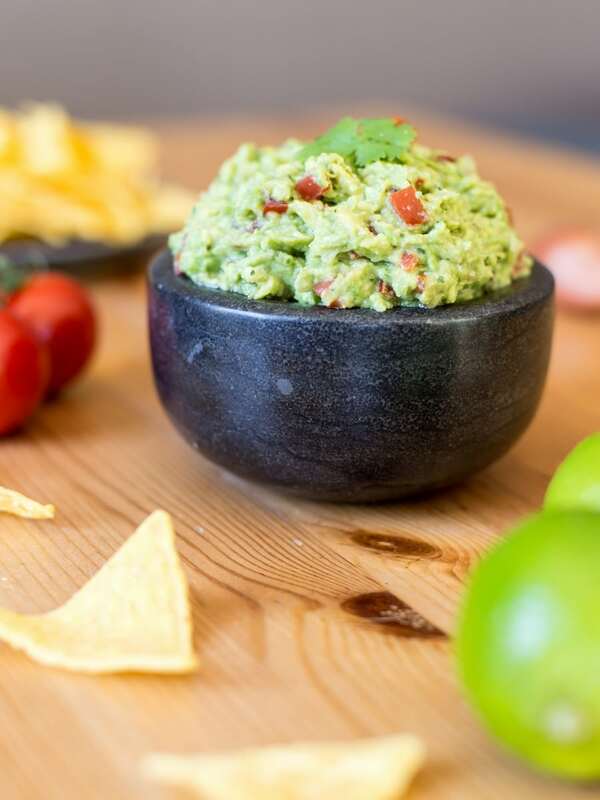 Add a bunch of other delicious flavours in tiny bits and you will get this wonderful chunky guacamole that will take your tacos to the next level. 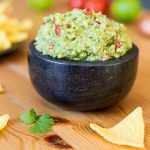 When I started making guacamole I was looking for a healthier alternative to jarred “guacamole salsa” that is so popular in the taco section of the supermarket. (I live in Sweden, we have whole supermarket aisles dedicated to Tex-Mex up here, yo.) 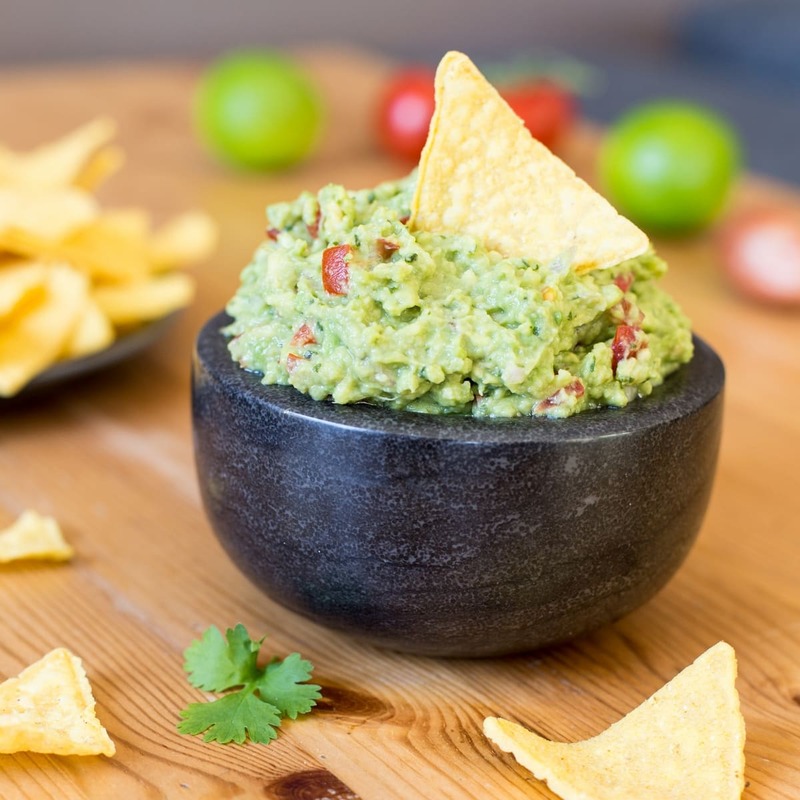 Store-bought “guacamole” dip can contain up to 1,5% of avocado! When real guacamore is, like, 90% avocado, the green stuff sold here started looking a bit like a fraud. Plus, avocado is healthy, you want to be actually eating that when eating guacamole. So I started experimenting with fresh avocados and my guacamole journey began. 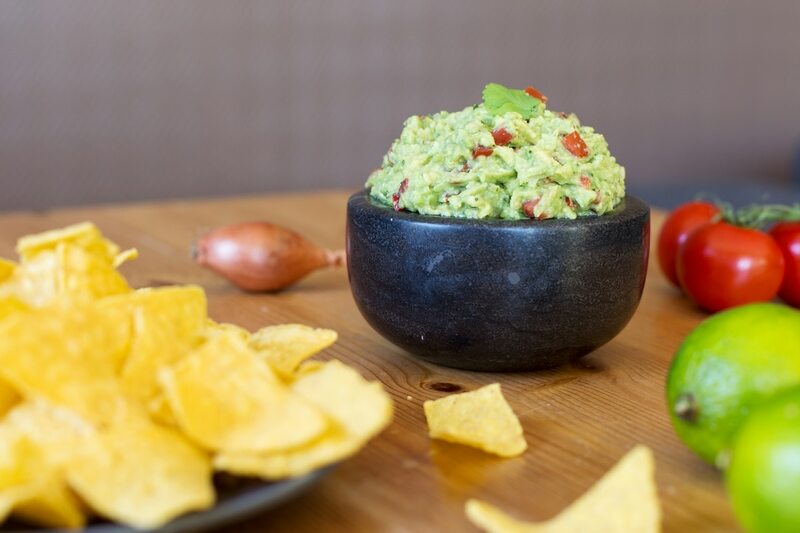 At first I got a thing for smooth guacamole, as I mostly needed it as dip. I was in a moment when financial constraints and a small kitchen did not allow me to experiment as much as I do now. But I still wanted to break away from that fake guacamole from the store and learn to make my own. The reason why at first I was all about smooth guacamole was because I had also gotten myself a hand blender. It was something I did not have in my life before Sweden. That, and the fact that I had invested money I didn’t much have (so I felt obliged to use it), sorta put me in my I-will-literally-blend-anything phase. 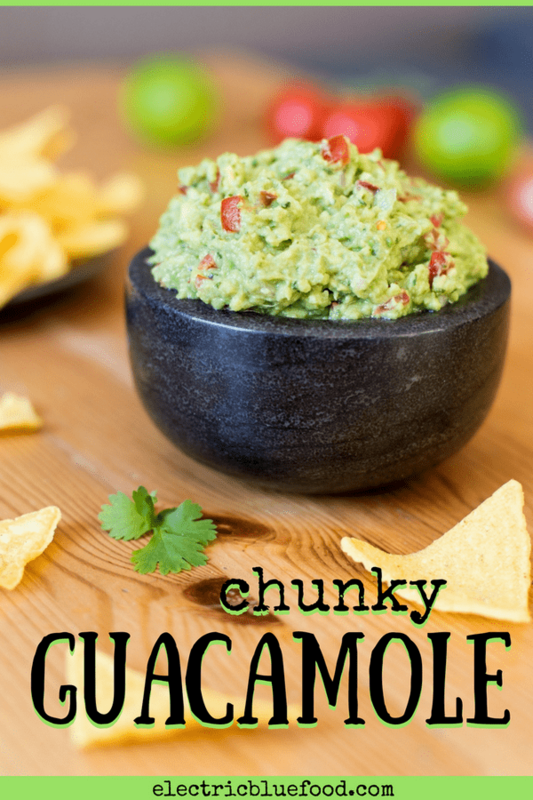 I finally got to make chunky guacamole one day when I decided to spice up my guacamole game. I had also started experimenting with various home-made salsa recipes (like this one with canned tomatoes) and I felt like it was time to make my guacamole more interesting. Of course I started looking for inspiration here and there, with memories of all the wonderful Mexican restaurants I had visited in New York in the back of my mind. Until one day I finally came up with my own chunky guacamole recipe and was pleased with the result. Not blended. Sorry not sorry. Speaking the truth, this guacamole dip is not much different from the smooth spread I used to make before. The guacamole ingredients are pretty much quite standard, and I just added a few veggies to my older recipe. While most traditional recipes call for the use of jalapeño, I picked a red chili pepper instead. First, because its colour contrasts nicely, giving the end product a nicer appearance. 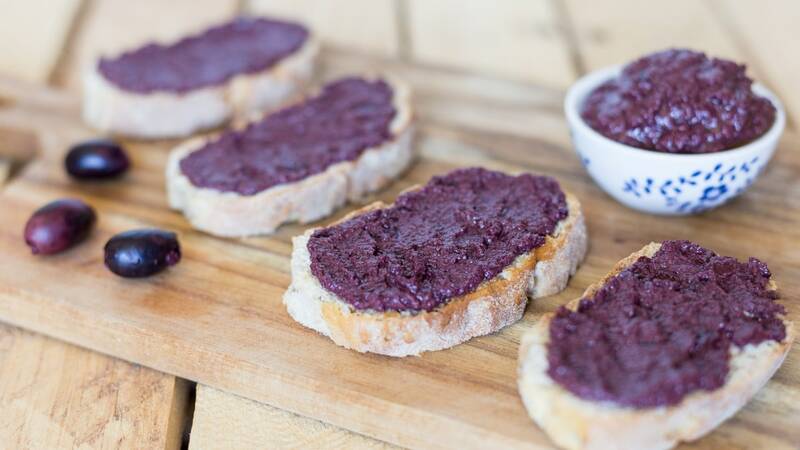 (Yes, photos of food are important on this blog.) Second, because the red chili peppers I find at the store promise to be milder than jalapeño and I am not one who loves it when the whole oral cavity is burning. This guacamole is chunky because it features small bits of onion, tomato and chili. The avocado as well should not be too smooth. Set the hand blender aside this time and just roughly mash the avocado with a fork, the chunkier the better. 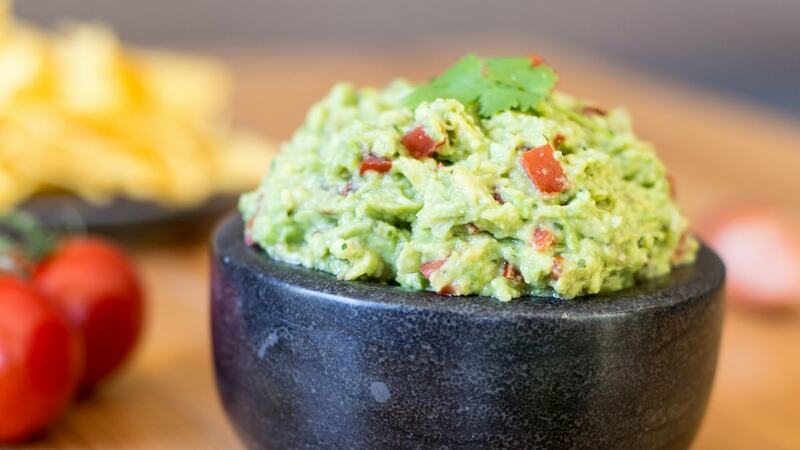 Is this the best guacamole recipe? Among those that I make, I’d say totally yes. 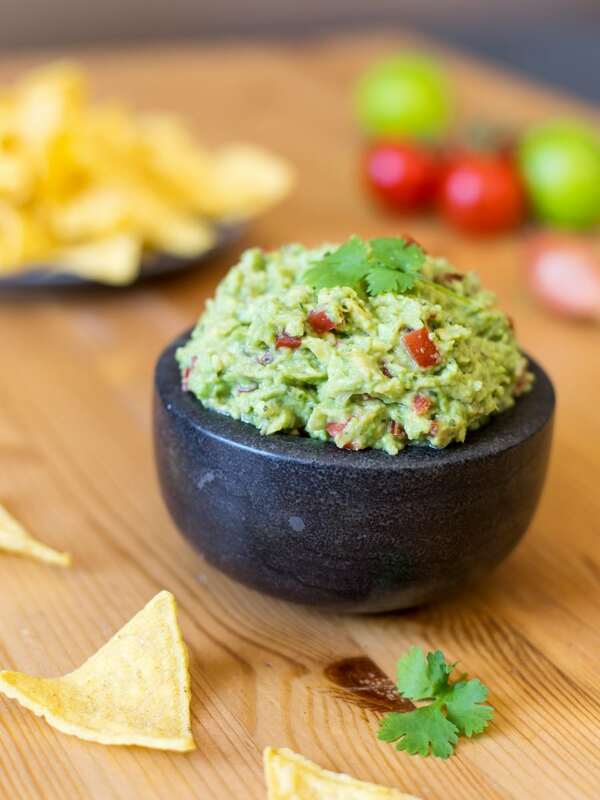 Chunky guacamole is the perfect appetizer with a bunch of nachos or other crisps. To me that is a perfectly legit dinner alone – and hey, it’s also healthy if you get the right chips! Take it to potluck dinners and parties and everybody will love it. 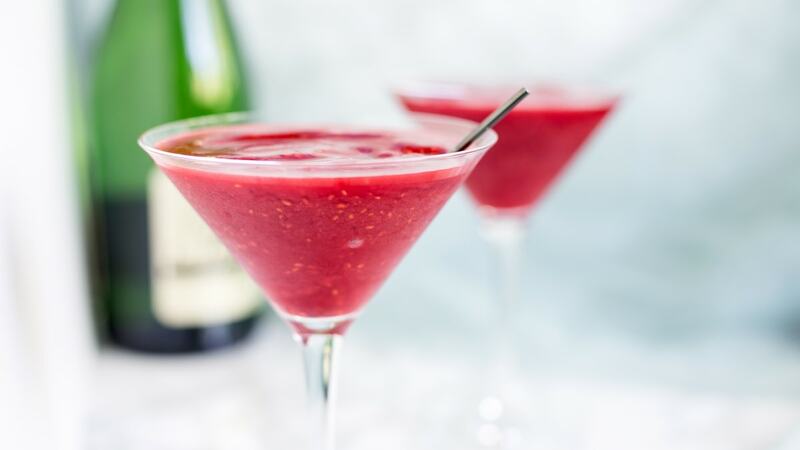 Since you don’t even need to blend it, it also virtually requires only a bowl and a fork. Tacos up here in Scandinavia is serious business. So serious it has a dedicated day of the week (Friday) when people regularly eat it. Imagine eating tacos at least 52 times a year. Scandinavia is paradise! Many people take taco night as a lazy mealtime but I like to do things properly. 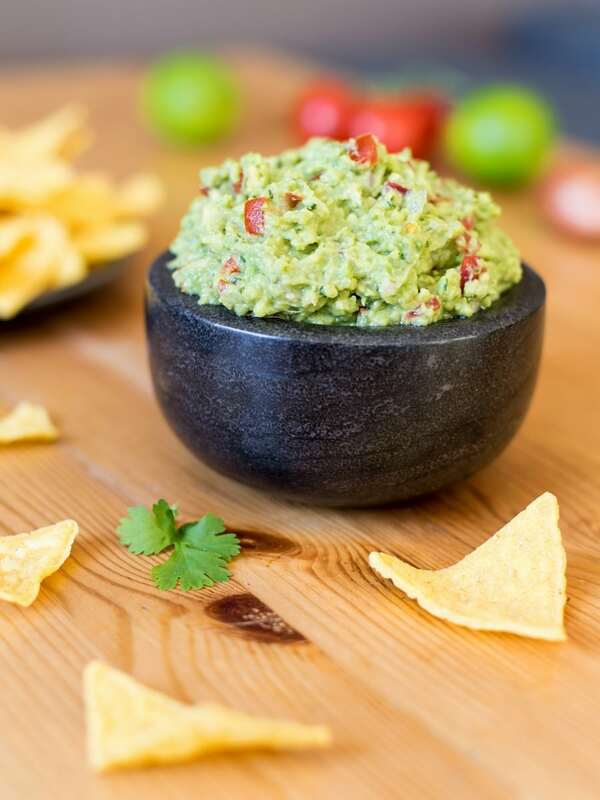 Home-made guacamole is the key to making your tacos stand out – and making you crave for more of this than just once a week. Squeeze the lime and divide the juice in two bowls or about the same quantity. Remove the skin and pit from the avocados and add them to a bowl. Mash them with a fork. Peel and mince the shallot. Add the minced shallot to one of the two lime juice bowl. Soak in lime juice for 10 minutes. Seed the chili pepper and mince it. Cut the tomatoes in quarters and remove the seedy pulp. Mince the flesh into bits that are about the same size as the chili pepper and shallot bits. Separate the cilantro leaves from the stems and discard stems. Finely mince the leaves and add them to the avocado mash. If using frozen cilantro, take about 1 1/2 tsp of frozen minced leaves. Drain the lime juice from the shallot and add the soaked shallot to the avocado bowl. Add also the minced chili pepper and tomatoes. Give the mixture a stir and add salt and lime juice (the fresh juice from the clean bowl, not the one where the onion had been soaking) to taste. Mix well before serving in order to properly season the whole mixture. Add extra cilantro leaves as garnish (optional). Love guacamole! Pinning for later! Aww thanks! Hope you enjoy!